The much awaited Smart India Hackathon 2018 - Software edition Grand Finale will be held on March 30 and 31 at 28 different nodal centers across India. This Hackathon was launched on October 16, 2017 in Pune. New Delhi: The much awaited Smart India Hackathon 2018 - Software edition Grand Finale will be held on March 30 and 31 at 28 different nodal centers across India. This Hackathon was launched on October 16, 2017 in Pune. Ministry of Water Resources, River Development and Ganga Rejuvenation is a 'Premier Partner' in this initiative. A total of 23 software problem statements have been proposed for which 66 teams have been shortlisted consisting of 528 youngsters competing in the grand finale. Nodal centers at Kanpur and Varanasi have been finalized for Ministry of Water Resources, River Development and Ganga Rejuvenation. 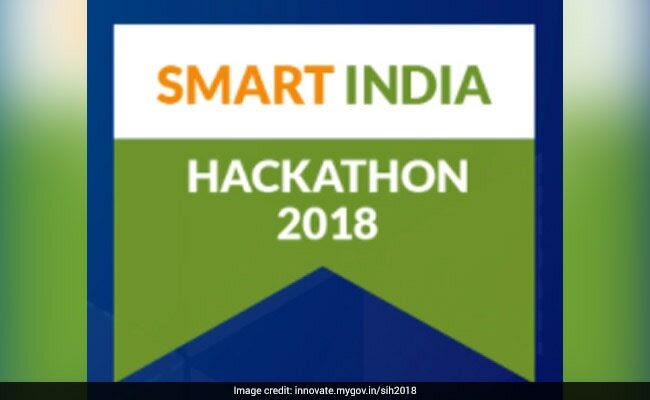 "Smart India Hackathon 2018 harnesses creativity and expertise of students, builds funnel for 'Startup India, Standup India' campaign, crowd sources solutions for improving governance and quality of life, and provides opportunity to citizens to provide innovative solutions to India's daunting problems," said a statement from Ministry of Water Resources, River Development and Ganga Rejuvenation. The event will be inaugurated by the Minister of State for Water Resources, River Development and Ganga Rejuvenation and HRD Shiv Pal Singh at IIT BHU Varanasi on March 30, 2018. He will also attend the valedictory function at PSIT Kanpur on March 31, 2018. Minister of State Arjun Ram Meghwal will attend the valedictory function on March 31, 2018 IIT-BHU, Varanasi. The Smart India Hackathon 2018 is being organized by All India Council for Technical Education (AICTE) under the aegis of Ministry of Human Resource Development (MHRD) and in collaboration with i4c, MyGov, Persistent Systems, and Rambhau Mhalgi Prabodhini. With 27 union ministries and departments and 17 state governments having joined this grand initiative, the Hackathon is much bigger than its previous edition. It includes 2 sub-editions - Software edition, which is a 36-hr software product development competition and scheduled to be held on March 30 and 31, 2018. During the software edition grand finale, teams of thousands of technology students will build innovative digital solutions for problems posed by different ministries and departments. Smart India Hackathon 2018 would be the second massive scale hackathon initiative in India following Smart India Hackathon 2017. Winners will get cash prizes and a chance to be part of the NASSCOM's 10,000 Startups programme.